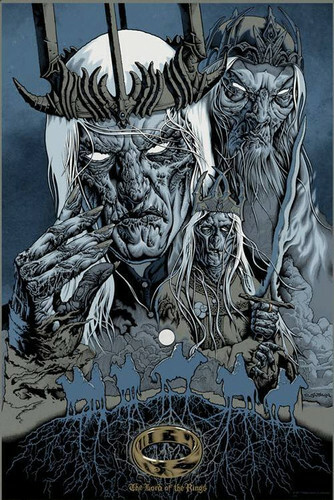 Servants of Sauron por Mike Sutfin. Servant of Sauron Poster Limited Edition of 285. HD Wallpaper and background images in the el señor de los anillos club tagged: ring of power sauron. This el señor de los anillos fan art contains animado, cómic, manga, historieta, anime, and dibujos animados.